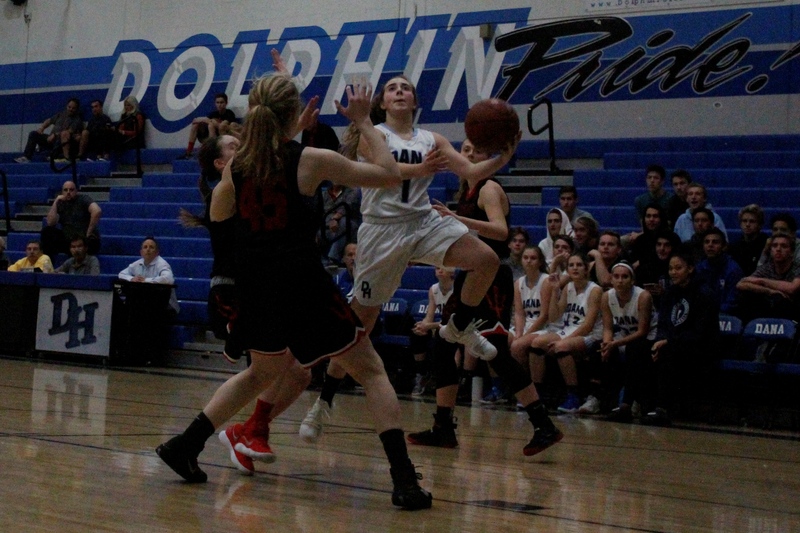 The Dolphins grabbed their second win of league play with a 45-40 win over Trabuco Hills on Jan. 16. Dana Hills (10-8, 2-0) got another huge effort from junior Maya McArthur with team highs of 16 points and 18 rebounds. She also had four assists and a steal. Sophomore Maicie Saia was right behind her with 14 points and knocked down three, 3-pointers while adding six assists. Junior Olivia Chambers was just off a double-double with nine points and 10 rebounds. The Dolphins, No. 10 in CIF-SS Division 2A, held first place in the Sea View League going into Jan. 18’s home game against Capistrano Valley. Results were not available at press time, but check www.danapointtimes.com for the game story. Dana Hills is 2-0 in league with Laguna Hills and Capistrano Valley right behind at 2-1. The Dolphins continue league play at Laguna Hills on Monday, Jan. 22. Dana Hills opened the South Coast League with a loss to league favorite San Clemente, but the Dolphins (7-9, 2-1) have bounced back with a pair of wins. Dana Hills earned a tight win at Mission Viejo, 4-3, on Jan. 11 and followed up with a huge burst at Trabuco Hills, 16-3, on Jan. 16. San Clemente is 3-0 in league, but Dana Hills holds down second place at 2-1 ahead of Mission Viejo at 1-1. The Dolphins returned home to face El Toro on Jan. 18, but results were not available at press time. 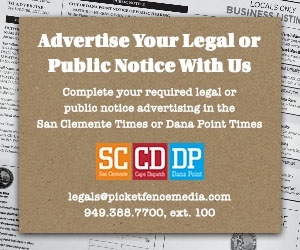 Check www.danapointtimes.com for the game story. Dana Hills continues league play at San Clemente on Wednesday, Jan. 24.